Beginning with a man alone, dressed in the regalia of a ballerina, and concluding with the same man surrounded by a collapsed stage and broken props, ErictheFred is a solo show that draws on the comic vulnerability of the clown. Eric gradually transforms from angry performer to sympathetic victim, conjuring his own world of animate and inanimate objects that torment him. Despite the technological tricks – a flickering projection accompanies some of his episodic adventures – this is a determinedly timeless show. The clown, pitiable and playful, is put through his paces, failing or succeeding only to fail again. He is acted upon by outside forces – even a gallows teases him when he attempts suicide – and the situations, whether hunting butterflies or putting together a jolly tune by looping different musical instruments, are abstract enough to be metaphors for various human endeavours. 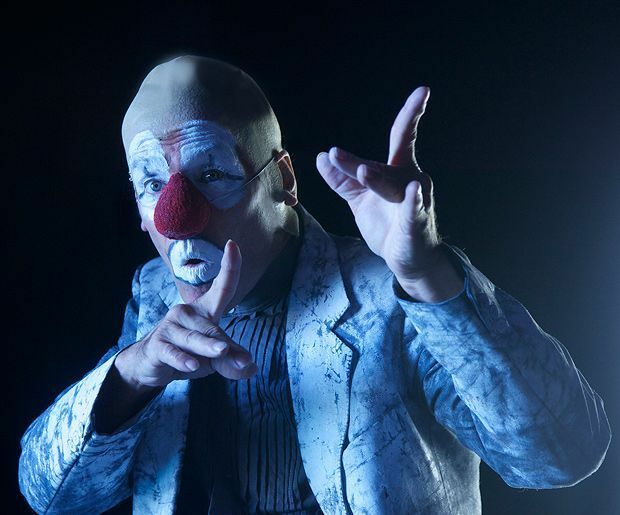 With the video footage evoking an earlier age, and Eric's language being a series of incoherent yet emotional sounds, the show draws on the idea of the clown as a universal victim. A series of false endings drags out the drama, and the structure is fragmented into distinct scenes, but Eric is a solid display of clowning and physical theatre skill. Assembly Roxy, 623 3030, until 30 Aug (not 24), 9.45pm, £12.